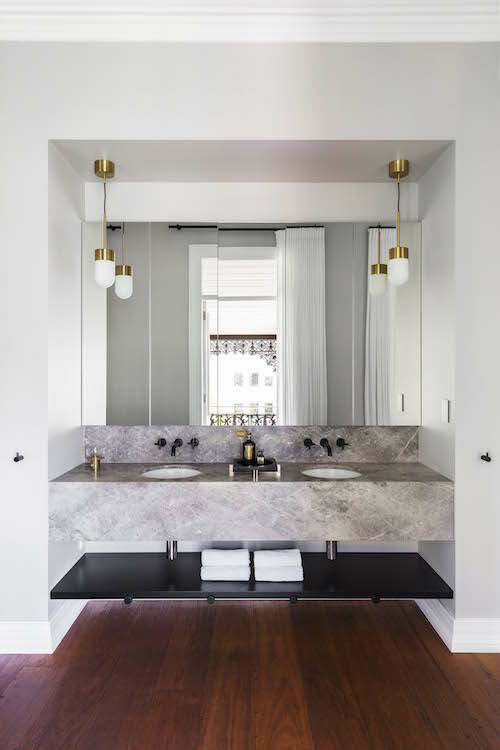 We love a little bit of bathroom glam, so we have compiled our favourite bathroom designs from the finalists of the Belle Coco Republic Interior Design Awards for you to check out. As you can tell we have a thing for grey, black and white... but who doesn't, am I right?! What's better than an amazing breakfast you say? An amazing breakfast in the most stunning new cafe in town! The Middletown Cafe in Melbourne's Prahran is the embodiment of refined luxury. Deep blue walls are the base for textural materials such as terrazzo flooring, brass, stone, timber and metal - all of which compliment each other and display the thoughtfulness of the interior architecture. "Middletown is a considered contrast of bold and light, intricate and refined, classic and contemporary. From the big picture, right down to the smallest detail, all elements combine to create a luxurious yet approachable sensory experience."